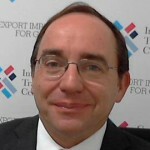 David Curry joined UNITAID as the Director for Finance and Administration in April 2015 after a year as the Director of Programme Support at the International Trade Centre in Geneva. Prior to that he spent two years at the UN Secretariat headquarters in New York. There he was the Director of the Peacekeeping Financing Division, responsible for the budgeting and financing of the UN’s peacekeeping missions across the world. This involved intensive interaction with the UN’s budget committee (ACABQ) and the General Assembly (5th Committee). Prior to New York, Mr. Curry worked for six years at the Global Fund to Fight AIDS, TB and Malaria (Geneva, Switzerland), a large financing institution formed to scale up the response to the three diseases as part of the Millennium Development Goals. Mr. Curry was the Director of Finance as the Fund implemented performance-based funding in its 600 grants across 140 countries. The position entailed extensive travel, especially to sub-Saharan Africa, to work with national governments, NGOs and UNDP as implementing partners. Mr. Curry qualified as a chartered accountant with KPMG, one of the world’s largest audit and advisory firms. During his 16-year career there he worked in London, Melbourne and Geneva. At KPMG Geneva, he was the head of the not-for-profit service. Mr. Curry is originally from Northern Ireland. He has a master’s degree in software engineering from Imperial College, London and is a member of the Institute of Chartered Accountants of England and Wales.